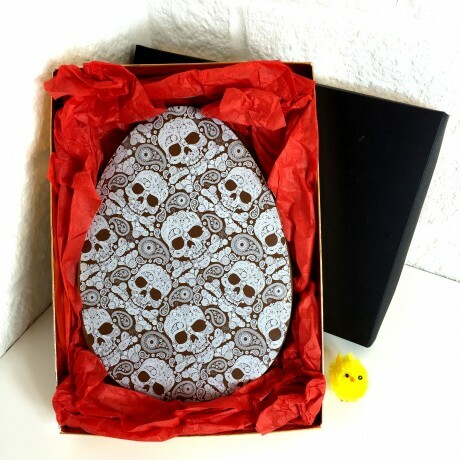 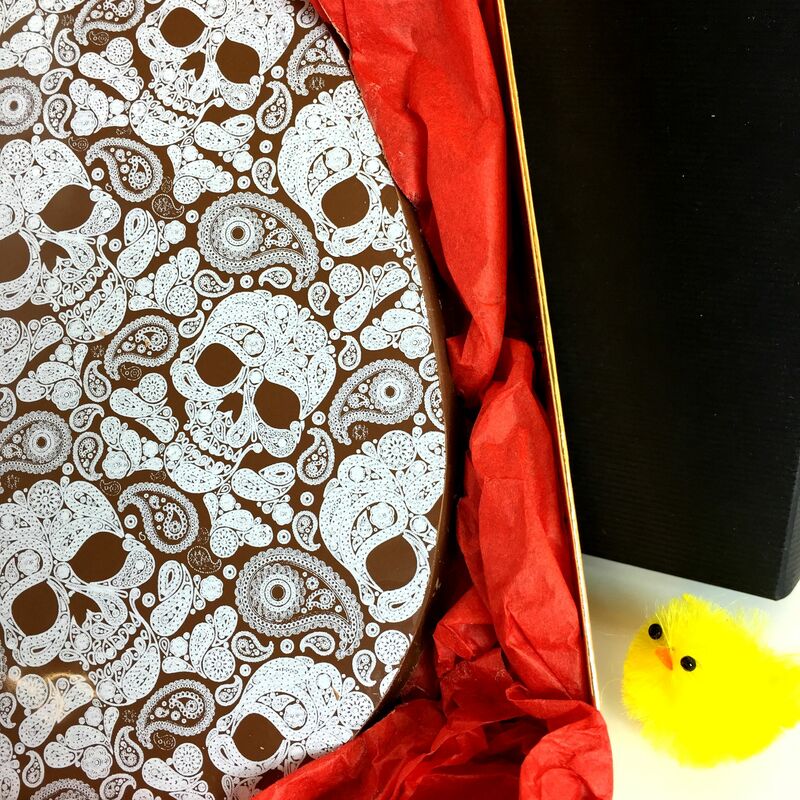 A stunning white printed chocolate Easter egg handmade from milk solid couverture chocolate beautifully presented in a card box. 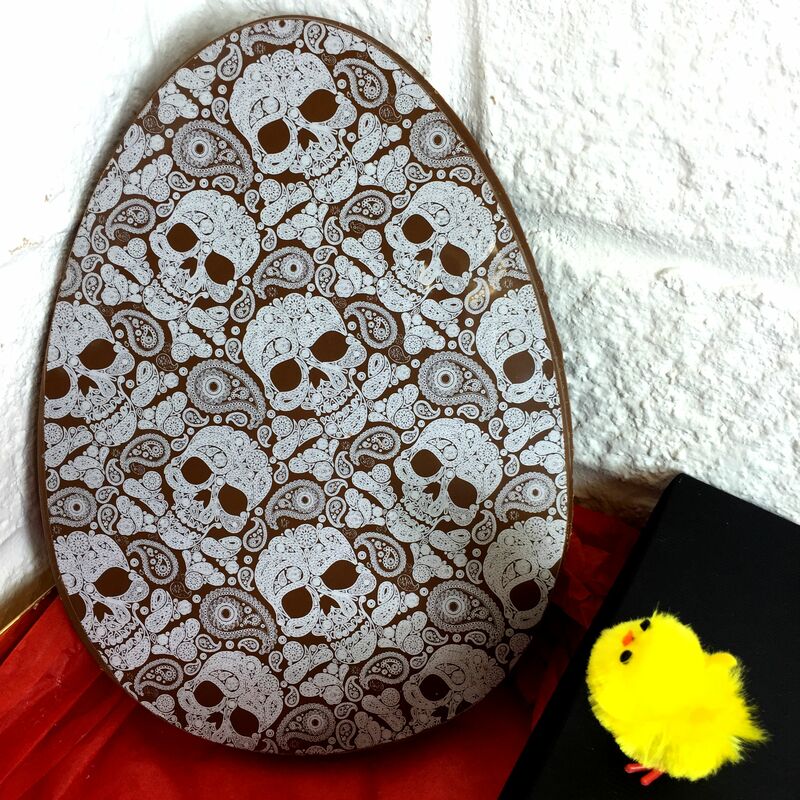 The chocolate pattern is an unusual skull design. 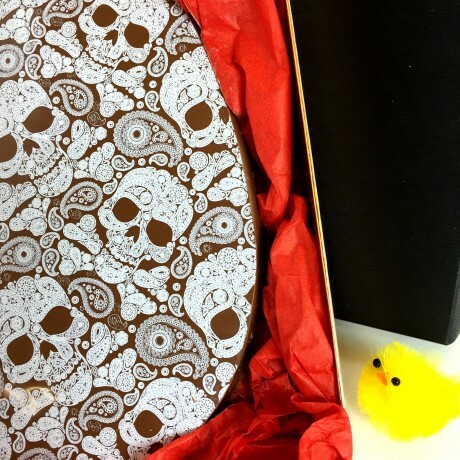 The flat chocolate egg is presented in shred paper in a card box and tied with a raffia ribbon and finished with a tag.